Face-off: Which one is right for you? Computers require data storage disks and there are different types available. Which type your computer has will affect it in various ways including how fast the computer runs, how much noise the computer makes, and, in portable computers, how long the battery lasts. There are two main types of storage disks: Hard Disk Drives (HDD) and Solid-State Disks (SSD). HDDs are the older of the two and are based on spinning magnetic disks. SSDs are a lot newer and based on flash memory chips (similar to the memory in USB thumb drives). Which of the two is the better? There is no straight-forward answer to that question as each have pros and cons. Generally speaking, a computer which uses an SSD as it’s primary operating system drive “feels” much faster. The computer can usually start up in seconds and opens programs almost instantly. Most people are familiar with the experience of turning their computer on, going to get a coffee or do some errands, and hoping that when they are done that the computer will be ready to use. Why is the experience like that? Because the computer is using a HDD as it’s operating system disk. This is not the experience when using an SSD. An old computer can be made to feel new simply by switching to an SSD. 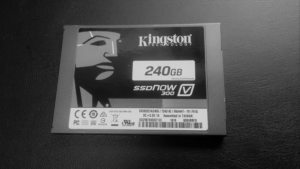 New computers may come with an SSD from the factory however many budget computers generally do not because of the added cost. Most computers, new or old, can be easily upgraded to use an SSD as its just a matter of copying one disk to the other. 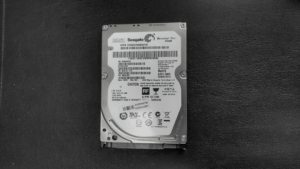 If you are interested in upgrading your computer the primary consideration is disk capacity – you need to get an SSD which can store all of the data on the HDD. However, if your computer is able to hold multiple disk drives then it is possible to use a smaller capacity SSD for the operating system and programs while a larger capacity standard HDD stores the bulk of your data (pictures, music, movies, etc. ).